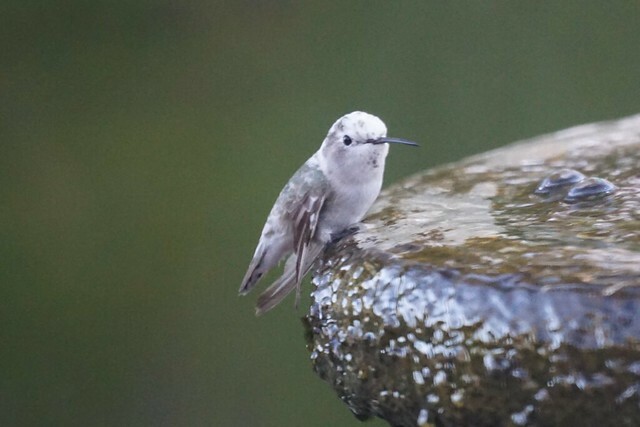 A few weeks ago, we spotted a white hummingbird at one of our water features. Eventually, I was able to photograph it. 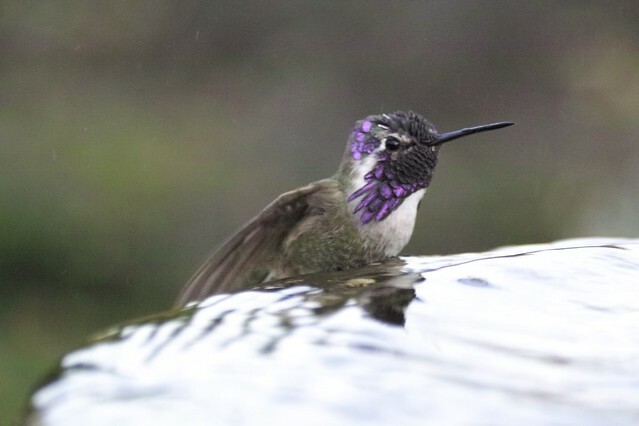 It appears to be an Allen's Hummingbird, but having little pigment, known as leucism. We nicknamed it Casper. 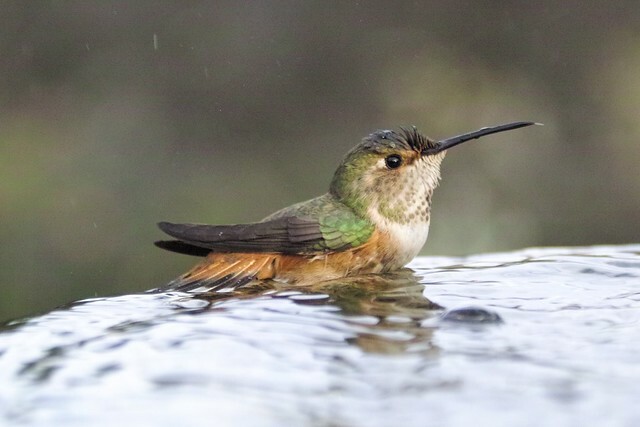 While staking out the bubbler, I also photographed some other hummingbirds.